Mission: Homeless Services Center partners with individuals and families to create pathways out of their homelessness into permanent housing. Vision: We hold firmly to a vision that homelessness in Santa Cruz County should be rare, brief, and non-recurring. Since our organization was created, our campus has evolved into four emergency and transitional housing shelters for nearly 230 people, a medical clinic, and a 12-bed medical respite care facility. Our organization began as a loosely affiliated group of faith-based and secular organizations, and was originally named the Santa Cruz Citizen’s Committee for the Homeless. The primary purpose, at that time, was to provide basic food and shelter for those with no resources to provide their own. 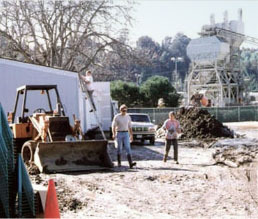 Homeless individuals would camp on what was referred to as the “Back 40″ on the lot of our current location on Coral Street in the Harvey West Neighborhood of Santa Cruz. In order to provide the campers with safety, security, and basic amenities such as heat and running water, the original group implemented the Interfaith Satellite Shelter Program (ISSP). During the years of the ISSP, homeless families and individuals ate a meal at our make-shift headquarters, then took a bus to various churches throughout the community, returning in the morning for a warm breakfast. Along with the creation of the ISSP, the Committee incorporated the Homeless Community Resource Center, which included the free meal program and free access to basic hygiene services, including toilets and showers. In 1998, in response to the need for greater case management for the most chronic and vulnerable homeless individuals, we established the Page Smith Community House (PSCH), named for one of our agency’s founding advocates. Page Smith Community House is one of our on-campus shelters today; you can read more about it on our Shelter Programs page. By staying closely attuned to the shifting needs and demographics in the homeless population and the priorities voiced by the local community, in the early 2000s we realized there was an increasing need for safe, secure shelter for homeless families. We led a vigorous and successful capital campaign to raise the funds needed to address that need, and in May 2005 the Rebele Family Shelter opened its doors. Since opening, the family shelter has helped hundreds of families by providing not only shelter and food to mothers, fathers, and children, but also intensive case management that unlocks the potential to obtain jobs and stability that many of the families never knew they could acquire. You can learn more about the Rebele Family Shelter on our Shelter Programs page. In 2006, after several years of community discussion and careful cost analysis, it was determined that the ISSP was no longer a sustainable model for sheltering our local homeless, and was not doing enough to meet our mission statement of providing services that enable our clients to achieve self-sufficiency. Thus, in 2008 with help from Habitat for Humanity, the Paul Lee Loft Shelter opened its doors, replacing the ISSP. The Paul Lee Loft Shelter provides emergency shelter to adult men and women, in an environment structured to provide transitional services; you can read more about Paul Lee Loft on our Shelter Programs page. 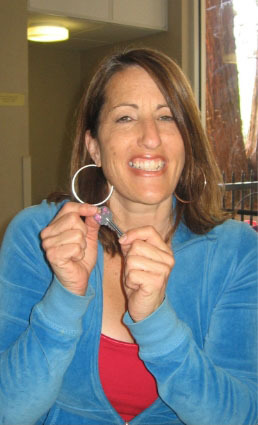 In 2012, Homeless Services Center officially shifted its focus from managing homelessness with shelter to ending homelessness with permanent housing; shelter programs have remained an integral part of the services we provide, while providing resources and services to provide clients with permanent, stable housing. Homeless Services Center was one of the first agencies in the county to realign its programs with the best practices of the Housing First model, proven to be the most effective, cost-efficient, sustainable, and humane intervention to homelessness. Under this model, people experiencing homelessness are housed as quickly as possible and supported by case management services. These services connect people to community resources to help overcome barriers that might threaten their housing stability and result in another episode of homelessness. In 2012, we became the fiscal sponsor for 180/180, a multi-agency initiative in Santa Cruz County to help 180 homeless men, women, and families turn their lives around. 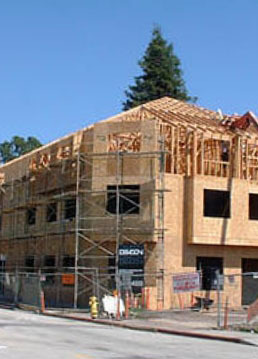 By July 2014, 180/180 had housed 205 individuals and as a result of their success adopted a new name 180/2020 and a new goal to end chronic homelessness in Santa Cruz County by 2020. We continue working toward this goal today. 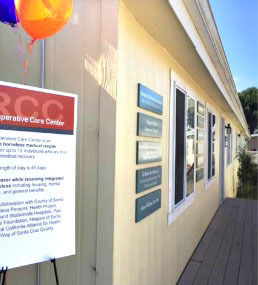 Our latest addition to our campus is the Recuperative Care Center (RCC), which opened in January 2014 and is operated through a partnership between HSC and the Homeless Persons’ Health Project, which is also located on the HSC campus. RCC serves up to 12 homeless adults each night who have been discharged from the hospital, providing meals, housekeeping, security, medication management support, clinical social work and housing case management. RCC is supported by local hospitals, health care providers, and health agencies. We have been the lead agency in designing and implemented a county-wide coordinated entry system called Smart Path. This system streamlines access to housing assistance and services for all people experiencing homelessness. Individuals and families complete uniform assessments at a variety of easy to access locations throughout the county, and are then connected to the services most appropriate for their situation. In 2018, the program was transferred from HSC to the County of Santa Cruz for long-term management.